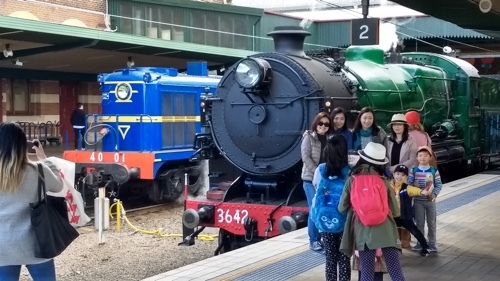 We took a trip on a train, and we thought about you. 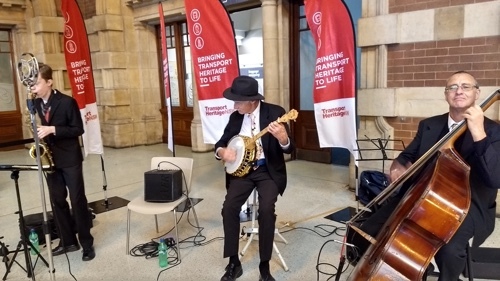 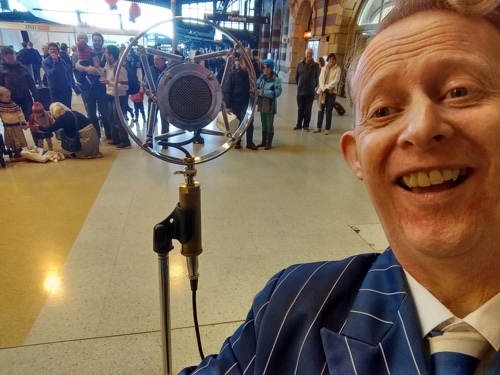 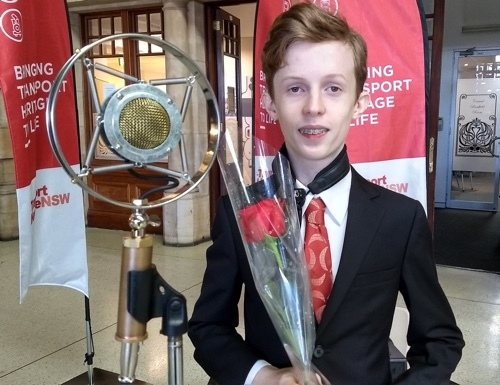 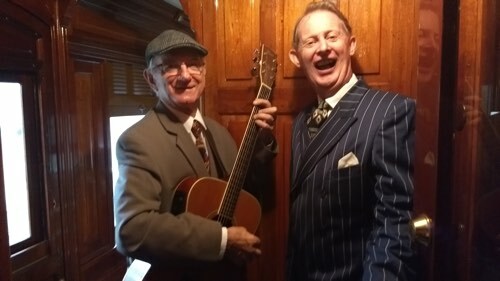 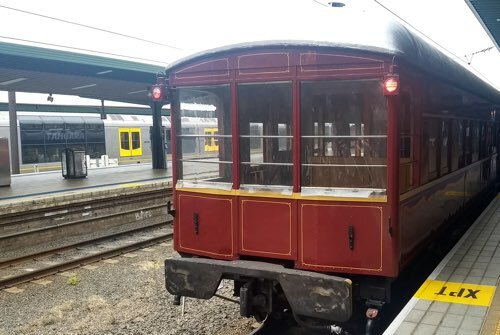 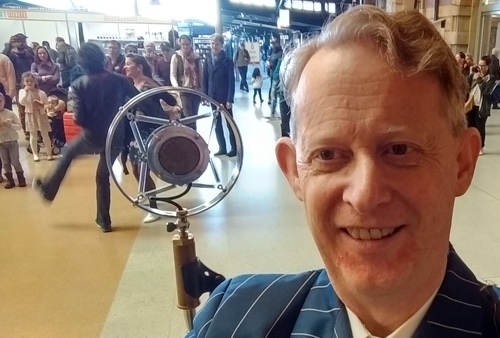 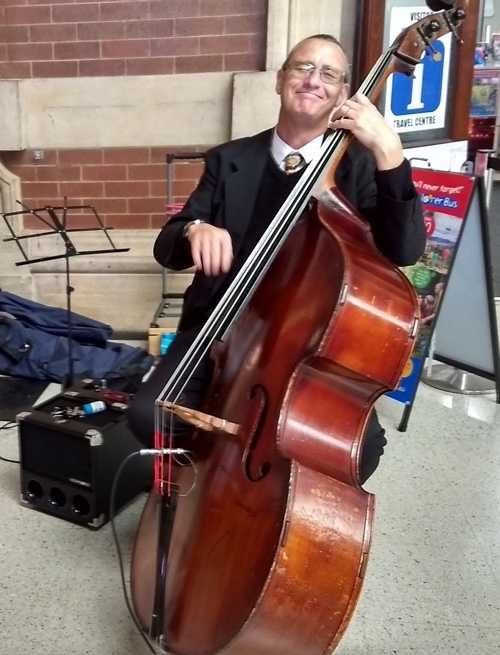 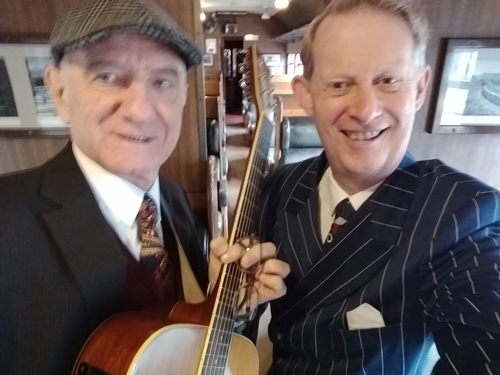 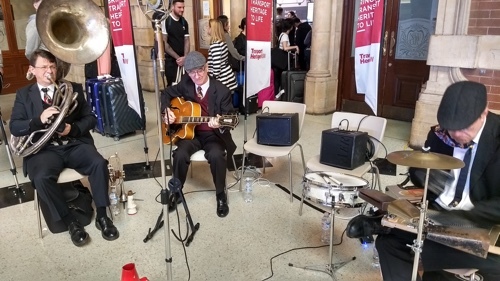 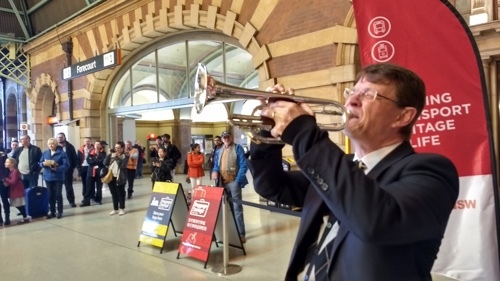 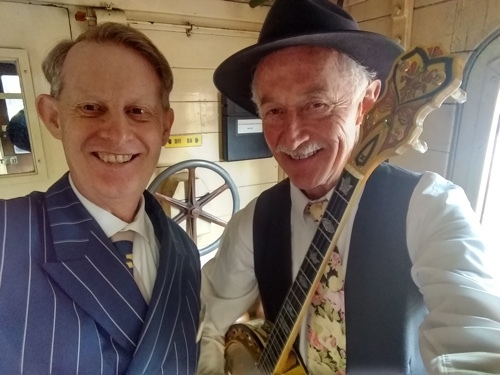 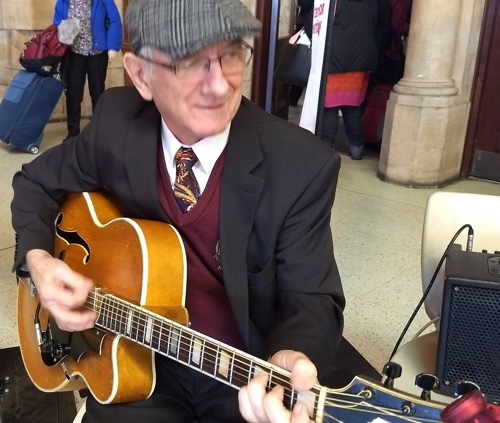 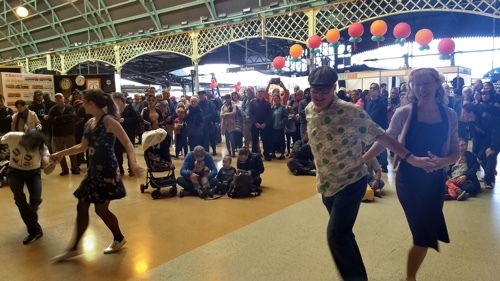 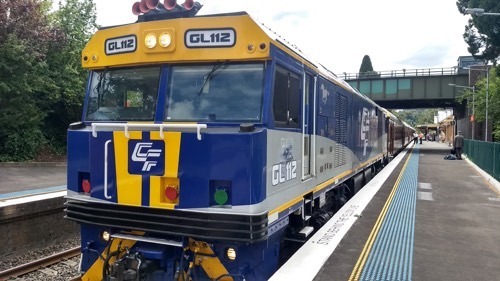 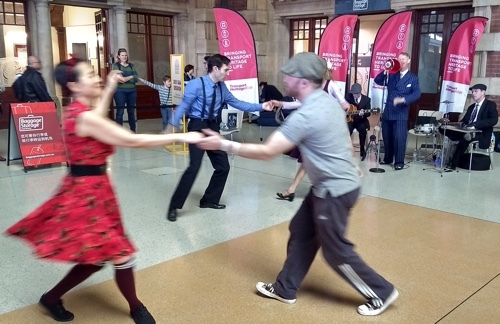 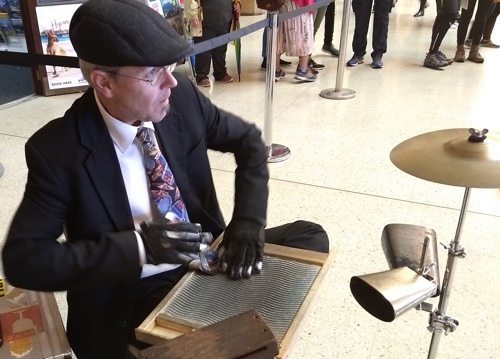 Saturday 24 February and Sunday 25 February, Greg Poppleton authentic 1920s-30s singer, and Grahame Conlon guitar, serenaded passengers on two special historic train trips run by friends at the NSW Rail Museum. 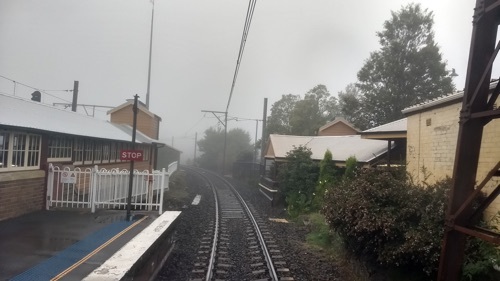 The Highlander took passengers to Bowral in the Southern Highlands for lunch. 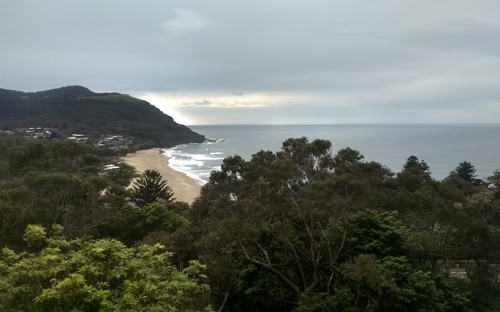 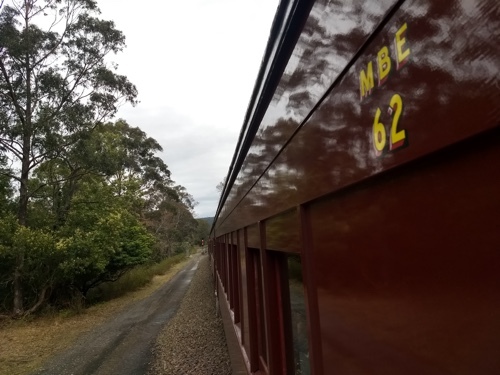 Then, the train traveled along the scenic Unanderra-Moss Vale railway line, down the Illawarra escarpment and returned to Sydney via the South Coast and through the Royal National Park. 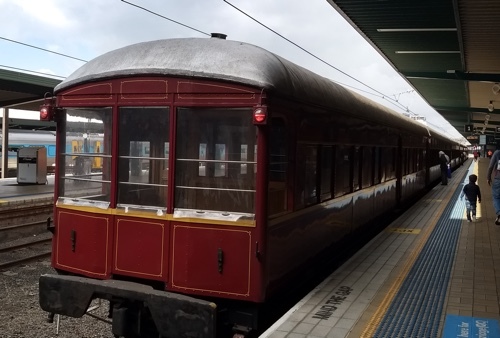 On Sunday, the Hydro Express took party-goers on a scenic day trip to the Blue Mountains for High Tea at the historic Hydro Majestic Hotel during the Roaring 20s Festival. 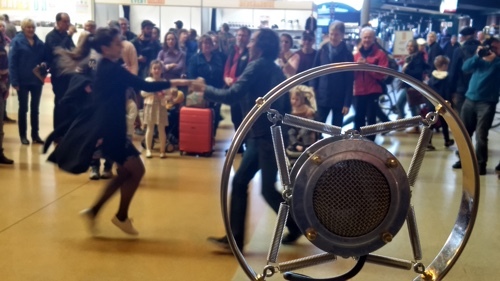 The Roaring 20s Festival is the festival where I've been singing for dancers with the band at the Great Art Deco Ball since 2012.